Want to know more about Weston Foods? 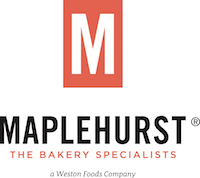 As the parent company of Maplehurst Bakeries, and a leading North American bakery company, we bake our breads, rolls, donuts, pies, cakes, bagels, tortillas, cookies, crackers and more in more than 40 bakeries across Canada and the U.S. We care about our customers and our employees. We conduct business with integrity and foster a respectful work environment, all the while giving back to the communities where we live and work. What a sweet place to work! We are looking for an experienced pallet wrapper on third shift! As a Pallet Wrapper, you'll be working in our Manchester, NH, cupcake factory that currently produces more than 2.5 million cupcakes per day! This facility operating in North America employees 250+ team members and runs 24 hours per day, 7 days per week. We operate 3 production lines, producing mini cupcakes in a variety of flavors for our retail and wholesale customers. Work has never smelled so good! As a pallet wrapper, you'll ensure pallets of cupcakes are wrapped, scanned in data collection, and brought to the loading dock to be put away in the freezer. In order to perform this job, prior pallet jack experience is required. Work safely in an industrial environment with minimal supervision. Speak and communicate effectively in English with managers and other team members. Read, write, and understand operating and maintenance instructions, warning labels, and safety procedures in English. Feel comfortable using a computer without help. Work in hot and cold environments. Lift, lower, carry, push, and pull up to 50 pounds. Stand or walk for up to six hours during an 8 hour shift. Perform strenuous physical activities that may include climbing, bending, reaching, kneeling, squatting, and crawling. Work closely with others in a team environment. 2-3 years of shipping and warehousing experience. Prior food manufacturing experience or exposure.